This has to be my favorite Instant Pot recipe so far! It is so simple to put together on a week night, but the flavors make it seem like it must have taken all day. 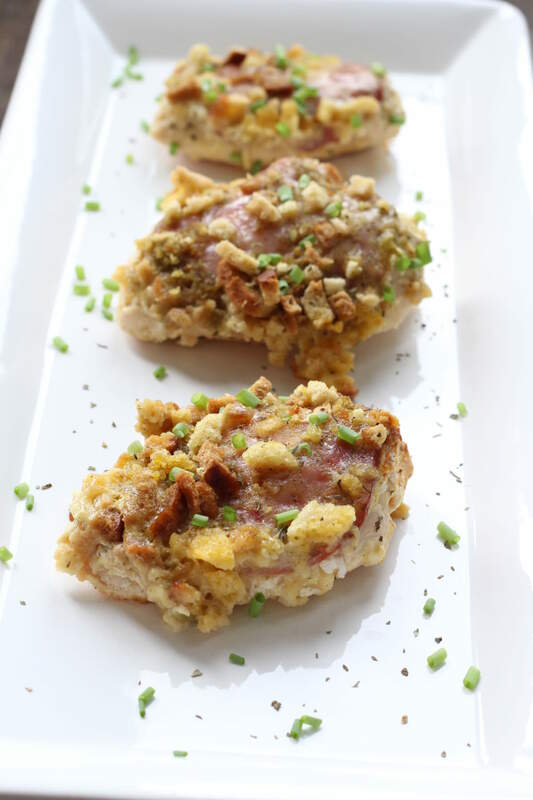 This Instant Pot Chicken Cordon Bleu marries the same traditional flavors of Cordon Blue, but takes out the hassle of pounding the meal, rolling up the layers, and cuts out tons of time. Add milk and cream of chicken soup to the bottom of the Instant Pot. Stir milk and cream of chicken soup together. I like to use the 98% fat free, but that is up to you! Layer 3 frozen chicken breasts onto the bottom of the pan, add the layer of ham on top of the chicken and then add the layer of cheese. Pour stuffing over the top. Top with small cubes of butter and a splash of milk. Cook 26 minutes on manual (high). I like to serve this meal with a steamed veggie, side salad, and fruit. You cannot go wrong with this recipe! It is such a wonderful blend of flavors and is so easy to do for a week night meal. I have found a lot of success with cooking my thick, frozen chicken breasts for 26 minutes. I have read elsewhere that you can cook frozen chicken breasts in the instant pot in just 12 minutes on high. I am going to experiment with the cook time a little bit more, but so far this has worked really well for me. If you are looking for amazing Instant pot meals this is the place! These recipes are all fast and easy and will work well for busy family nights and even when its 4:30 and you forgot to thaw out the meat! These meals are all using the Instant Pot, which we LOVE. Check out the descriptions and pin for later too! Join me for Facebook live every Monday at 6:00 pm MST and Thursdays 1:30 PM MST!